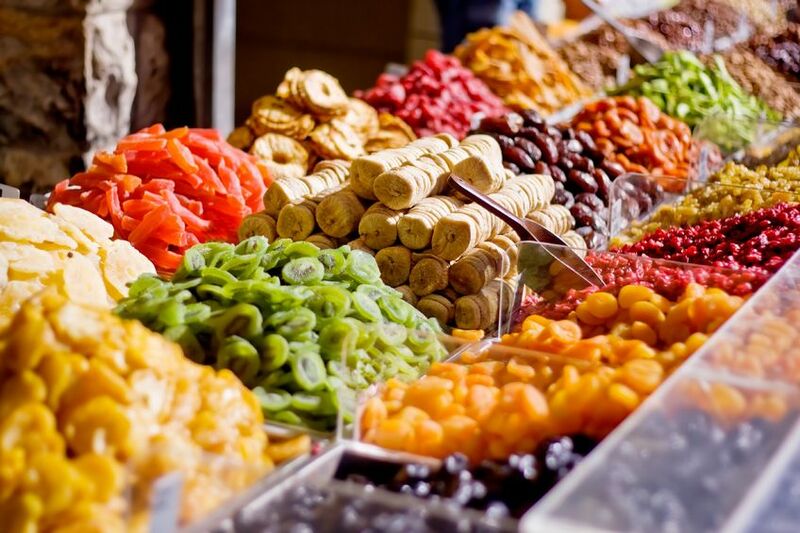 Dry fruits are considered as the rich source of nutrients as well as regarded as delicacies. Several fruits which come under dry fruits include hazelnut, macadamia nuts, peanuts, date, pistachio, raisins, almonds, walnuts, cashews, etc. These are processed hygienically and enriched with high nutritional values to make them delicious and can be consumed readily. These are very important during long trips due to their high nutritive value. 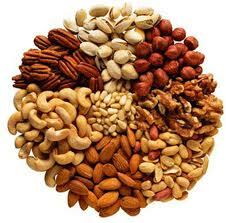 Following are the health benefits of dry fruits. These are an excellent source of minerals and also contain substantial amounts of essential nutrients. They can be digested easily and keeps us healthy. Similar to fresh fruits, dry fruits have strong medicinal properties. These are made by drying grapes. These are rich in sugar and are excellent food. These are given high priority during the recovery period after the treatment of a disease.Raisins are rich in iron and hence, very essential for anemic people.These are also used for treating constipation. Soak raisins in a glass of water for 1 – 2 days and consume them in the morning after removing stones.It is believed that black raisins helps in restoring sexual vigor.Raisins helps in gaining weight. Cashew nuts are good source of monounsaturated fat which is essential for preventing heart diseases.Cashew nuts provide protein and fiber to body. Cashews are a good source of potassium, B vitamins. Cashew nuts provide protein and fiber to body. Cashews are good body builder; they are rich in antioxidants that help in the elimination of free radicals that may cause some cancer. They are also benefited in developing bone health and connective tissue. These provide fiber and protein to body.These are rich in folate, potassium and vitamin B. Cashew nuts also contain copper, selenium, phosphorus and magnesium. Fructose and glucose are the natural forms of sugar found in dates.Dates must soaked in water overnight and grind them after removing seeds. Take this paste twice in a week for preventing heart problems. This is a nutritious food.These are also known as a laxative as it is helpful in treating intestinal conditions. This is very useful for both physical and mental development.Application of almond oil on the forehead gives relief from headaches. If applied on scalp, cures many hair problems.It is rich in vitamin B1, phosphorus, copper and iron, which help in the development of haemoglobin, new blood cells and proper functioning of the vital organs.These are also used in treating loss of sexual vigor, constipation problems and skin problems, particularly eczema.Mix almond paste with milk cream and fresh pate of the rose buds and apply it on the face. This makes skin soft and fair. These have high amounts of omega-3 fatty acids. These are useful in lowering triglycerides. These triglycerides must be high in the blood for maintaining a good heart health. Figs contain vitamin A, vitamin B1, vitamin B2, calcium, iron, phosphorus, manganese, sodium, potassium and chlorine. It prevent constipation and also helps to reduce weight and is recommended for obese people. Dried figs contain Omega-3 and Omega-6. These fatty acids reduce the risk of coronary heart disease. Figs are good for diabetic patients, it prevents hypertension, strengthen bones. But be caution having too much fig can cause diarrhea and might cause tooth decay.